O-Toro has blessed Vancouver Slop with this amazing T-Shirt. Based on the Notorious B.I.G. 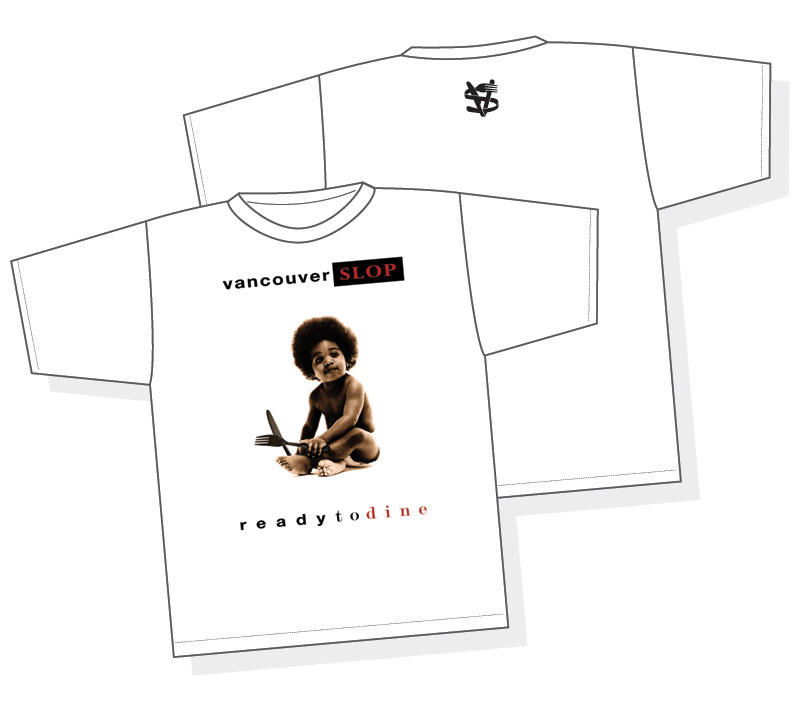 album cover for Ready to Die, this shirt will be loved by both hip hop heads and your local foodie. The shirt is only 25 Canadian dollars which includes shipping.